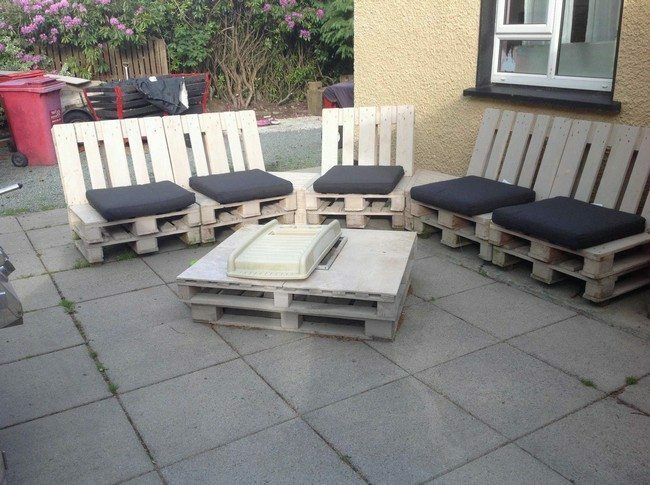 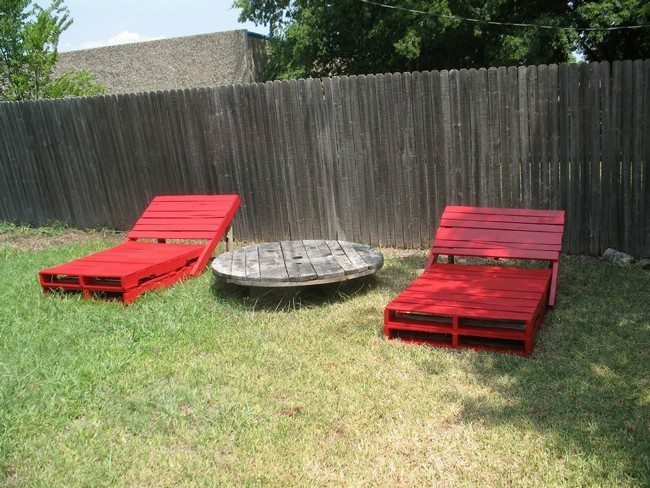 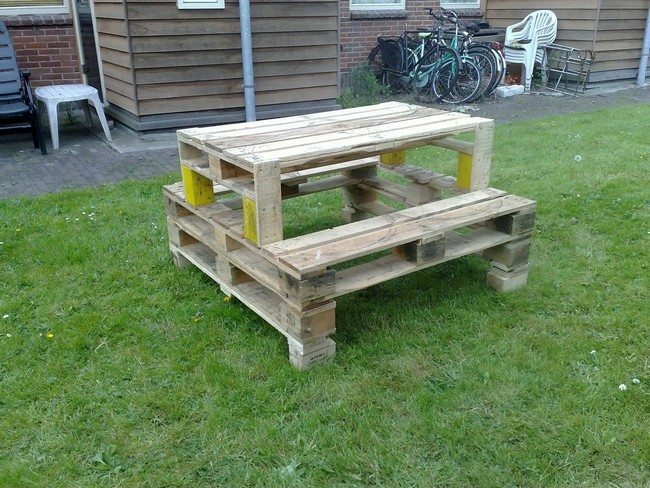 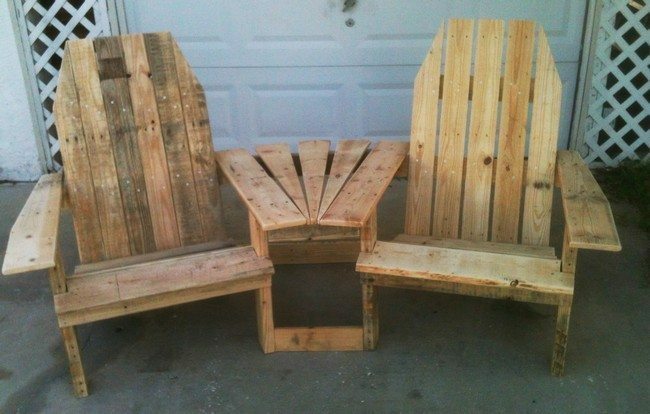 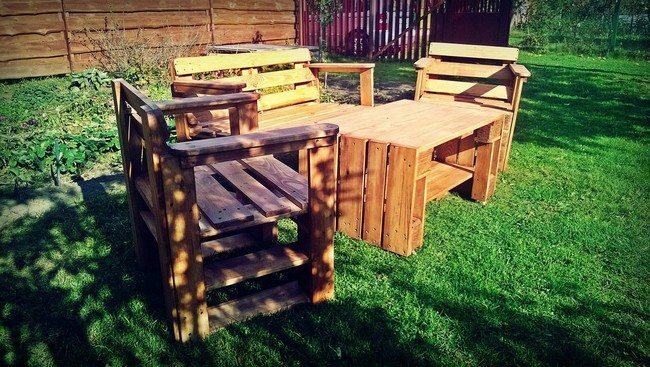 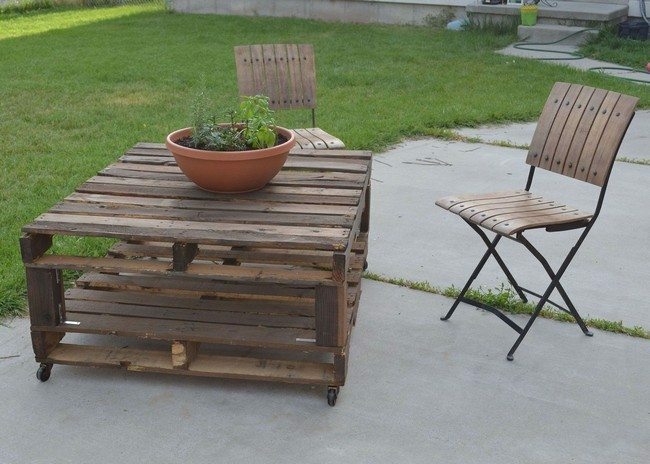 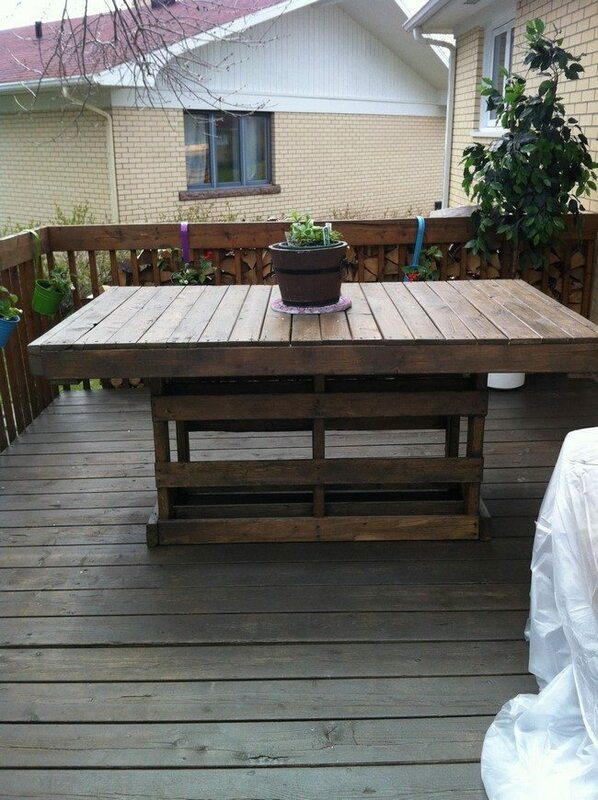 There is no need of buying pallet patio furniture when you can make it yourself. 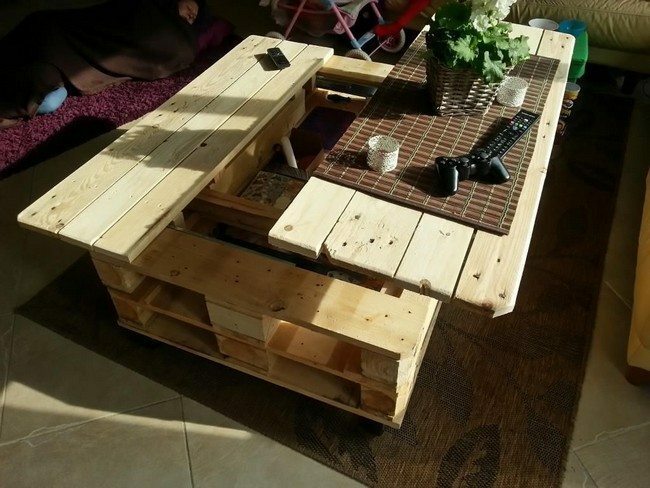 This can be a fun and interesting project that you can do even with your kids. 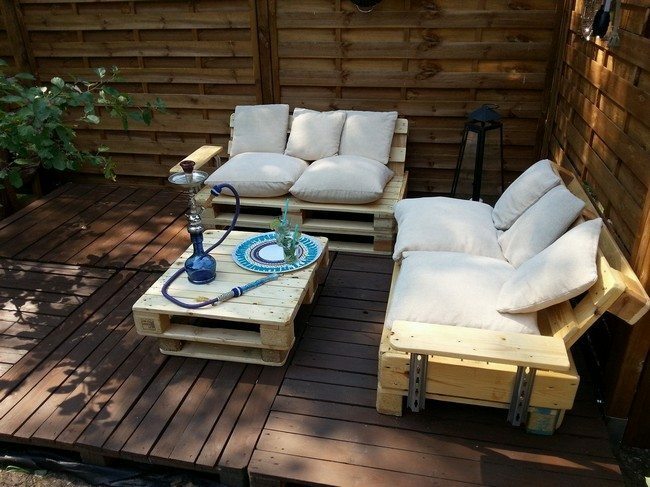 All you need is a lot of wood and nails. 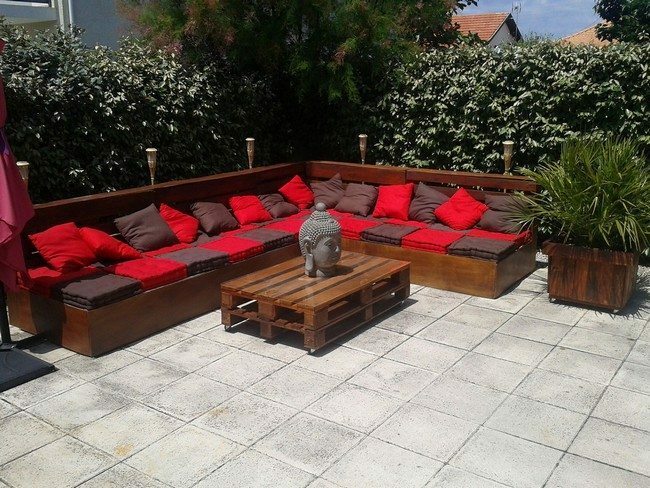 If you are striving for an edgier look, then you may laso need paint, cushions and other materails and accessories. 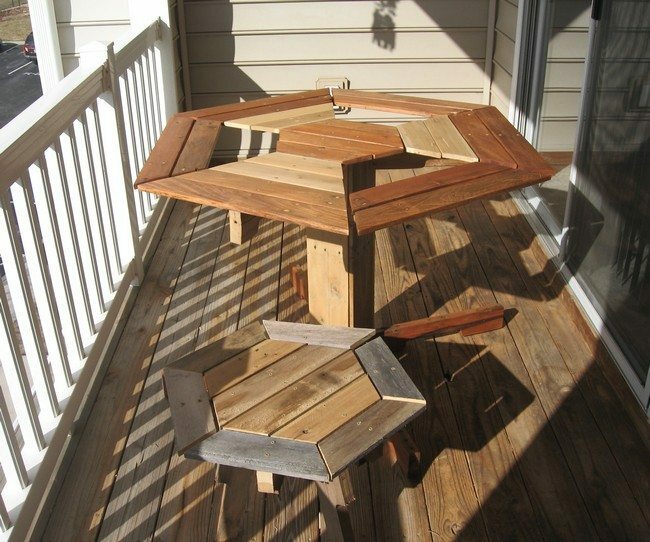 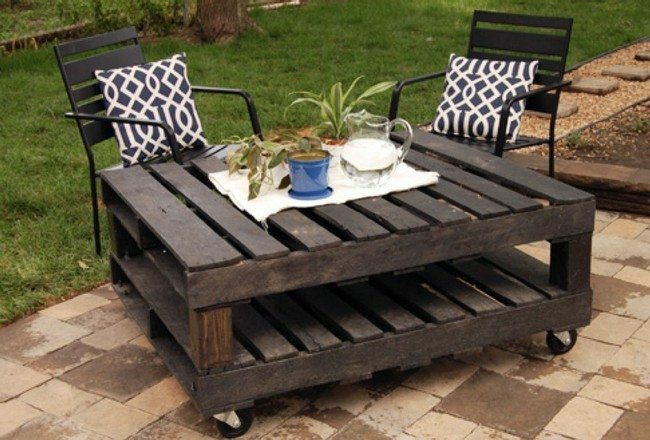 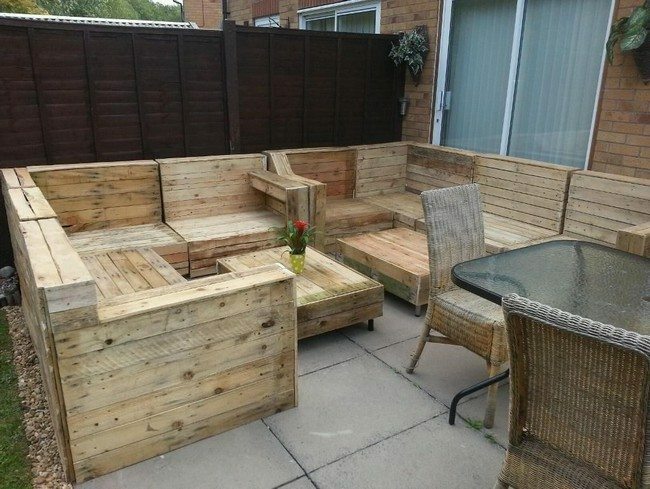 Below are some DIY tips on making your own pallet patio furniture. 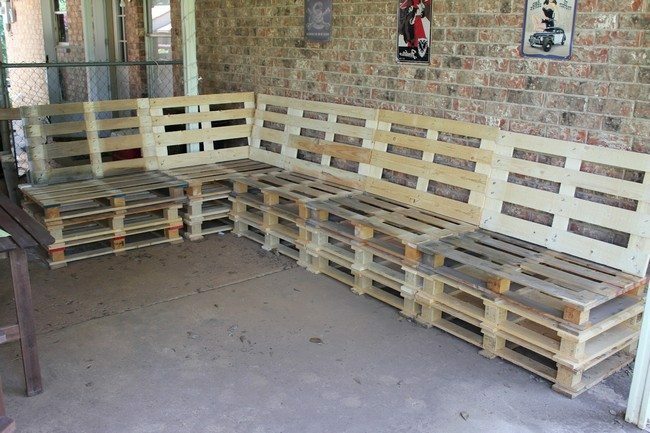 Here, pallets have been used to make a seat at the corner, leaving plenty of space in the middle for movement. 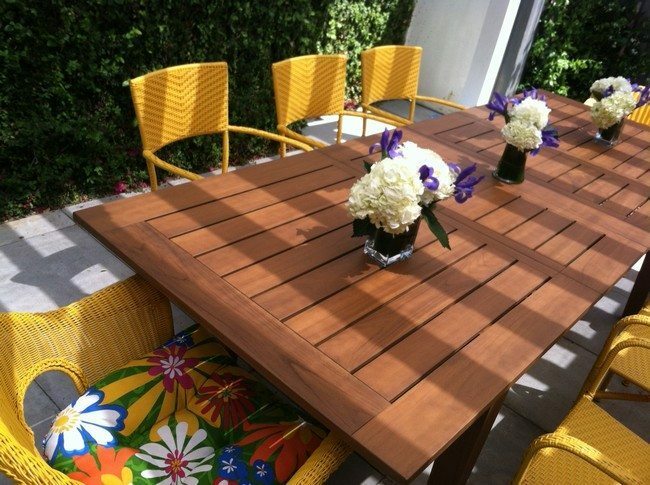 The seat has been painted in a rich, brown color, giving it a look that stands out. 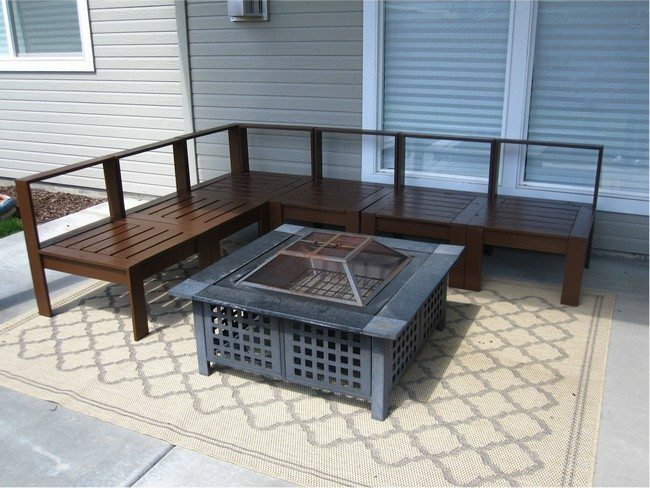 The simple rug and unique coffee table decorate the space even further. 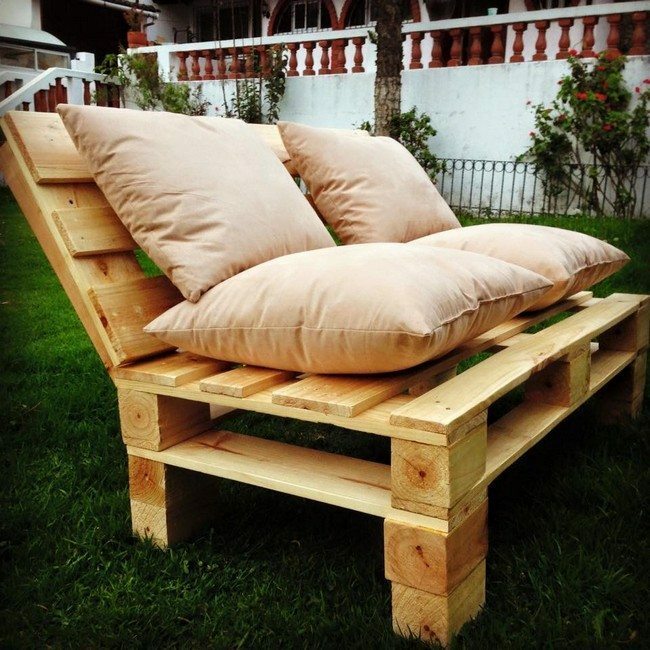 You can also make a day bed that you can relax on during the weekends or take afternoon naps on. 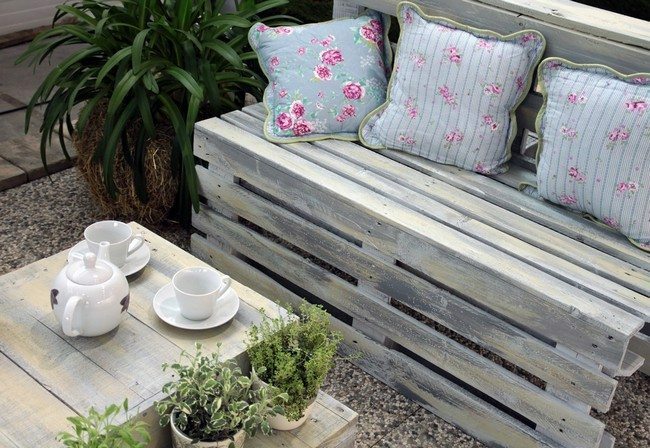 When it is not being used as a day bed, it can also provide a comfy seating area for your guests, say when you have a garden or patio party. 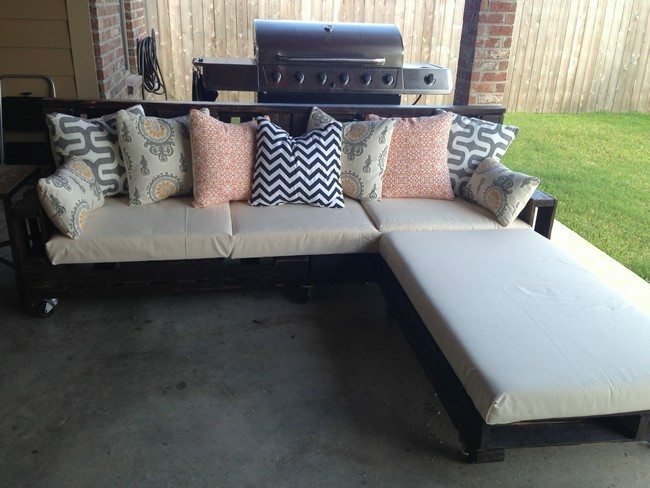 Use thick cushions and throw pillows for extra comfort. 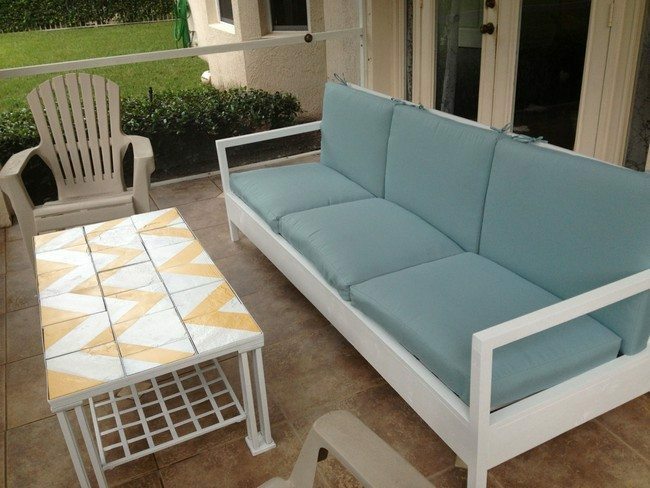 If you love color and always want to make your spaces colorful, then do not shy away from decorating your patio furniture with colorful pieces and accessories. 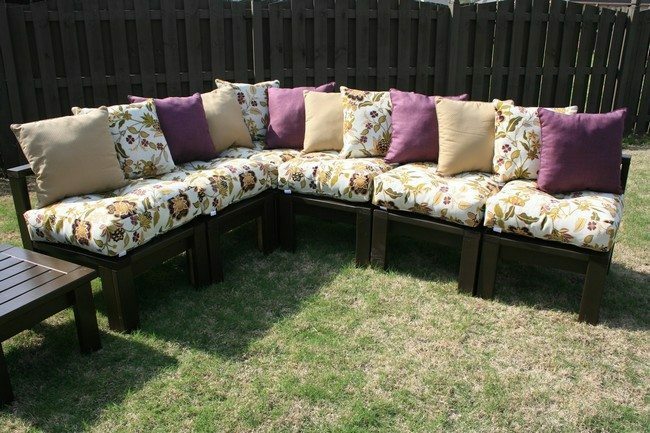 This means bright flowers, beautifl jars and colorful cushions and throw pillows. 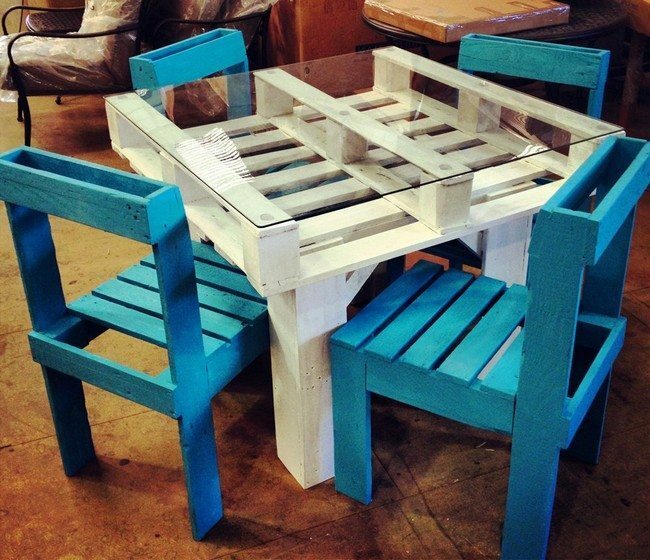 Play with different colors when painting your furniture. 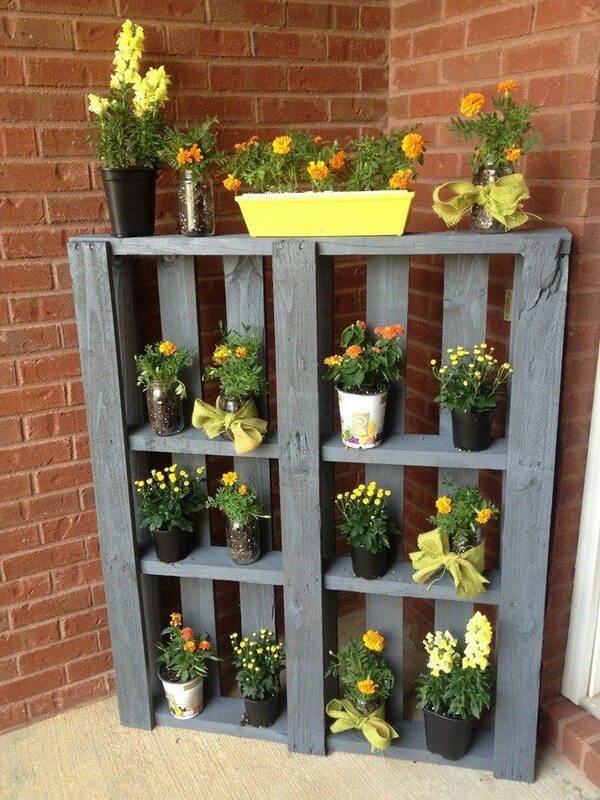 If you love growing flowers and have many containers or pots with flowers, then you can build a special shelf for them, for a better display. 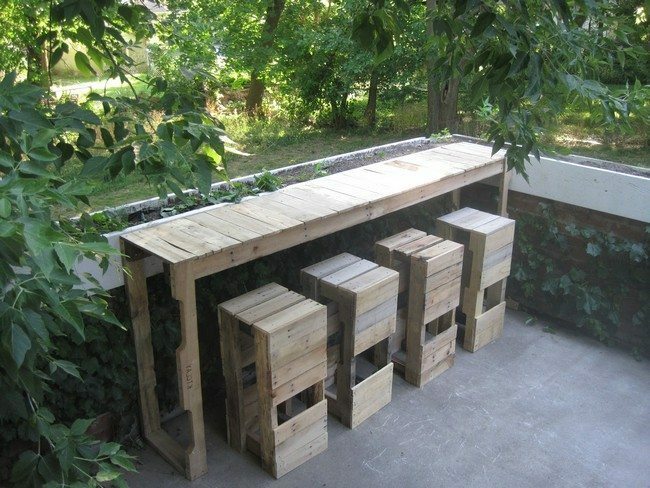 You can also make a bar or cooking area out of wood. 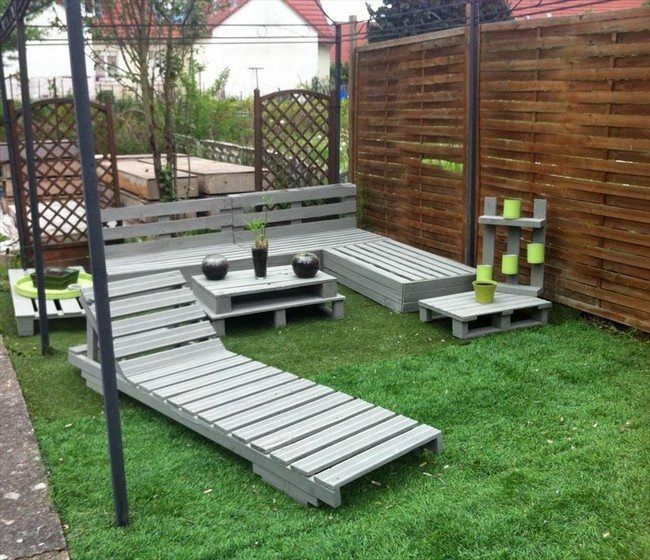 However, you will need a lot of materials and preparation for this type of project. 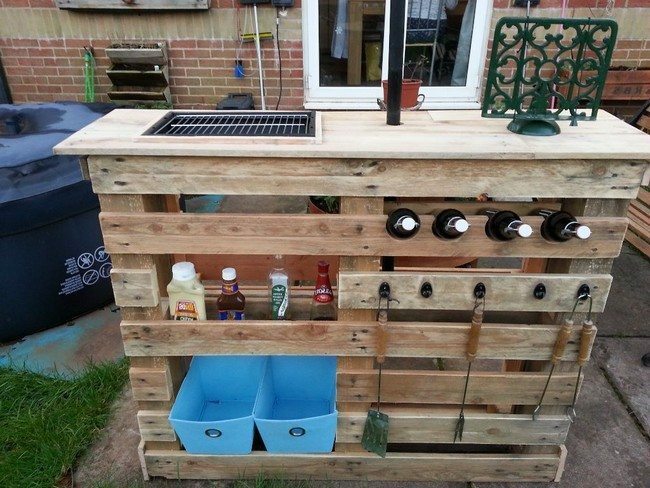 You also have to put in safety measures especially if you are making a cooking area. 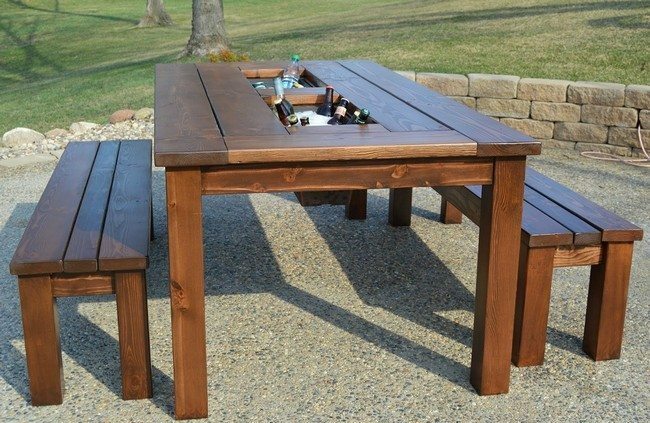 You can make a multipurpose bar or cooking area, including partitions where you can put your food and cooking accessories such as spoons and knives. 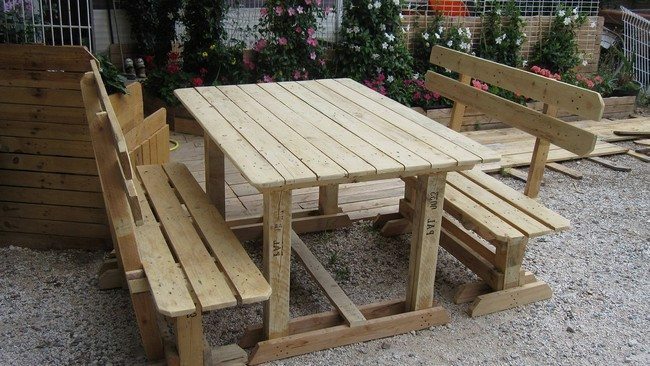 Having lunch or dinner with the family outdoors is always a good idea. 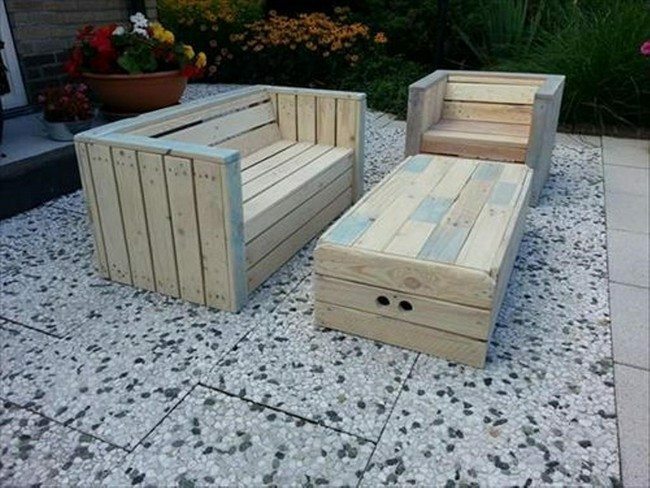 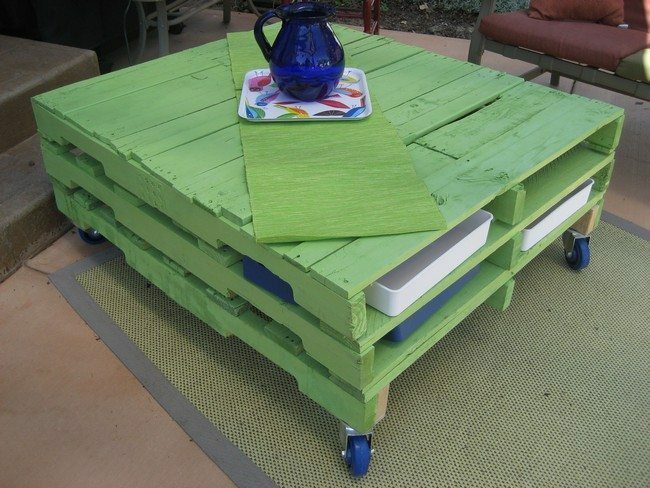 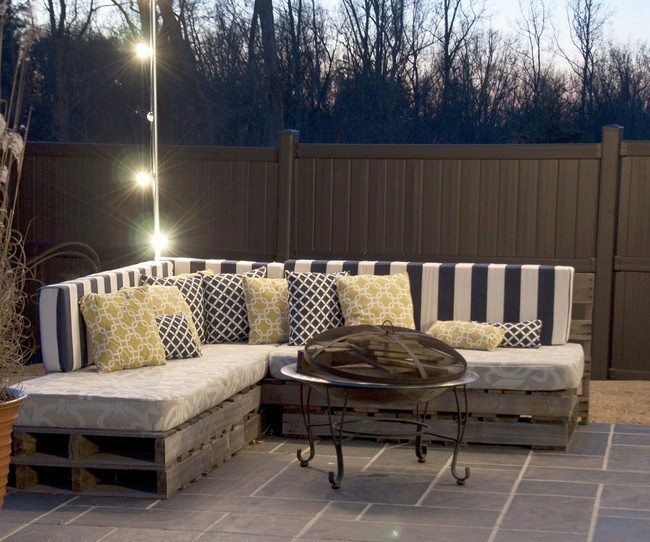 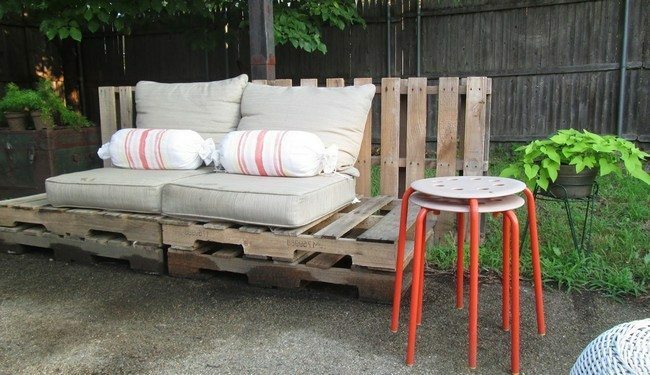 You can create pallet furniture specifically for this purpose. 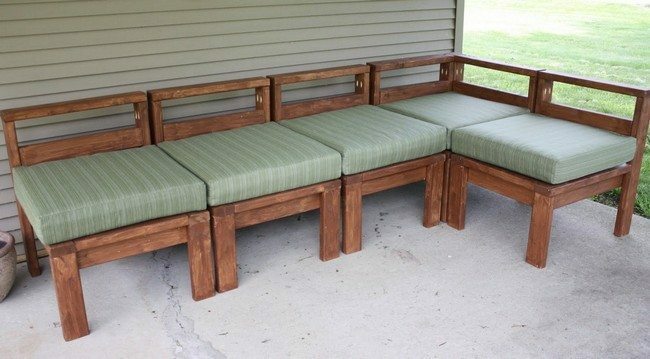 You can consider this DIY dining table that is joined to the seating bench.